With the onset of an early Spring, naturally The Brecks have been receiving plenty of attention from visiting birders, and I was fortunate enough to spend some time at well known sites and some off the beaten track with mum, last week. 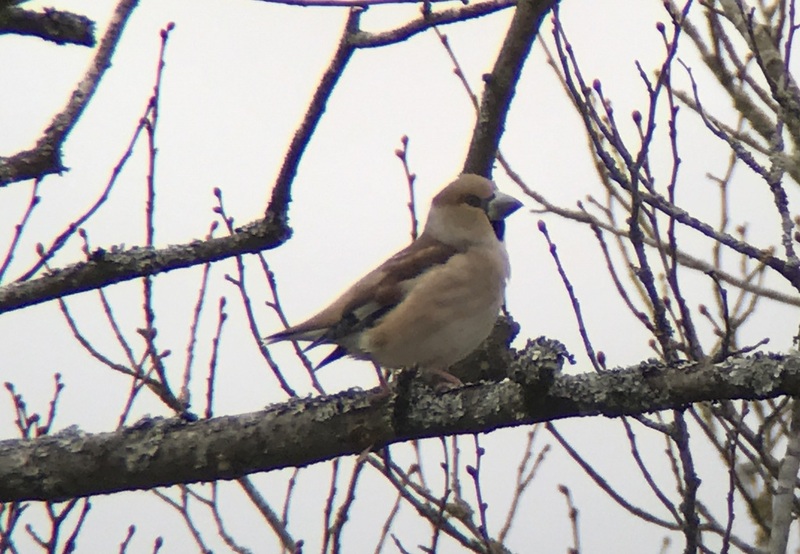 We enjoyed wonderful views of Hawfinch feeding on the ground at Lynford, frustrating glimpses of an agile Firecrest in the carpark and singing Woodlark amongst tens of Brambling and Siskin. This was all in a couple of hours, a delayed start due to mum parking at Lynford Hall. Both of us sat in our cars half a mile apart wondering where the other was. Cue missed calls from mum and dad (the big gun rolled out) when I retreated to Mundford to gather reception and find the missing parent. Whilst waiting, I even managed to squeeze in listening to Jupiter from the Planet Suite, which provided a great backdrop in Lynford carpark as I watched Lee Evans and co return to their cars victorious. I was reminded of the brilliance of Richard Adams's Watership Down over Christmas, the BBC adaptation collided with mixed reviews but we at The Warren loved it. Rabbits themselves are not so common in the wider countryside today, disease the main culprit. One particular arch enemy of the rabbit, the Fox or Homba, can be heard barking and generally making an otherworldly racket at this time of year, as the dog seeks out the vixen in the hope of mating and settling down into an earth. Although widespread, the country fox is rarely seen, and my encounter last Sunday the 20th was one to remember.